Easter brings many colorful goodies into our homes and yards. We have a few pet safety recommendations as you celebrate this coming weekend. Keep artificial grass out of reach. This fluffy grass that lines the bottom of an Easter baskets is especially tempting for curious kitties. The thin plastic material can cause a bowel obstruction if ingested, and may require surgery for removal. 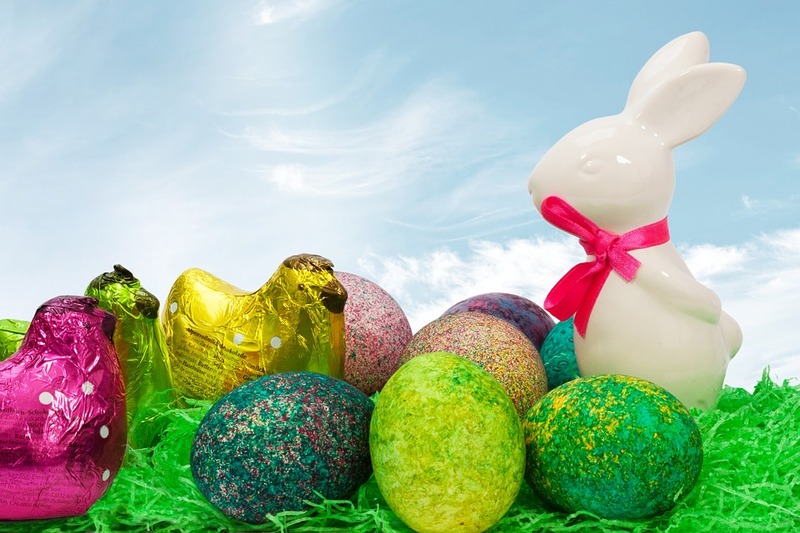 Be sure to pick up all remaining plastic, chocolate or real eggs in the yard. Your dog will definitely be able find them, so you may want to draw a map with reminders about where you hid each egg. Hard boiled eggs can cause GI upset, and plastic eggs can cause a bowel obstruction if swallowed. Eggs containing candy made with chocolate or xylithol are also hazards for your pup, as well as their foil wrapping.